Q: How can the 'person on the street' help Marion Island's marine mammals? A: We are trying to understand the movements and diet of these animals to tie in with knowledge of the population and their social interaction, but satellite tracking is very expensive (especially for our weak currency). Understanding their movement is vital to informed conservation, management and mitigation! Assistance by anyone can be provided securely through our crowd-fund-sourcing platform - no contribution is too small. Q: Is this a government or university driven research endeavour? A: The MIMMP is a University of Pretoria research effort, led by a Principal Investigator who is permanently employed as a researcher at this university. This is how postgraduate student involvement is made possible. 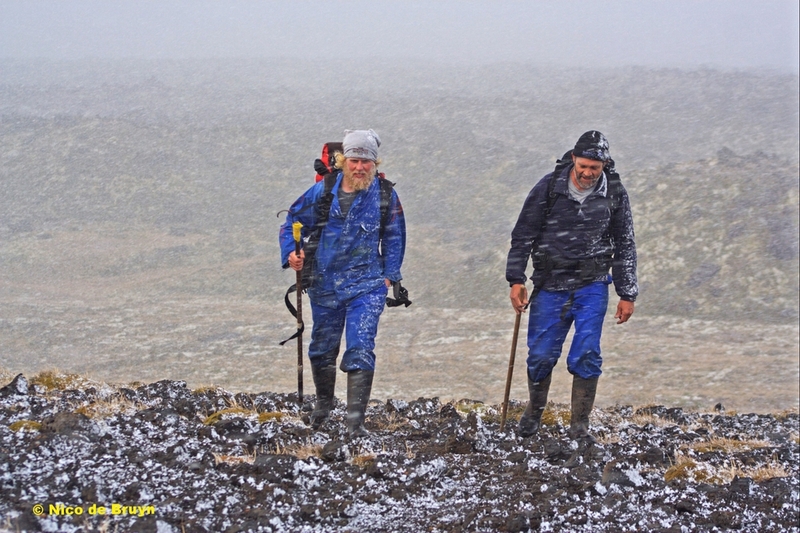 Although the South African government facilitates the research by contributing field expeditioner (overwintering) salaries and allowing access and subsistence at the Marion Island base station; this is dependent upon the successful application to do the relevant research by us as University researchers. Q: Are tourists allowed to visit Marion or Prince Edward islands? A: No. The protective status ("Special Nature Reserves") imposed on these islands by South African legislation does not permit tourism in any form. Q: Are the islands and activities there subject to the principles embodied in the Antarctic Treaty? A: Yes. South Africa was one of the founding signatories of the Antarctic Treaty system, and although the islands do not strictly fall within the Treaty geographical area, they are managed along the guiding principles of that Treaty, the stipulations of the Scientific Committee for Antarctic Research (SCAR), as well as several other National and International guidelines and principles. Left to right: Cheryl Tosh, Nico de Bruyn and Marthan Bester sticking a geolocating device on a yearling elephant seal. A: While not impossible, it is competitive. Highly qualified and experienced foreign candidates stand a fair chance of employment, bearing in mind that they need to out-compete South African candidates and be interested in subsequent enrollment for a postgraduate/post-doctoral positions at the University of Pretoria. While the Principal Investigator's host institution is supportive of foreign students, the field assistant positions are contracted via RSA government channels. The contractual appointment of field personnel currently complicates the process for non-South African candidates to be considered. In addition, financial implications are associated with the employment of foreign personnel, something the limited project budgets cannot always accommodate. Q: Can non-South Africans be involved in the MIMMP research programme at all? Q: Does the Principal Investigator assist with work permits for foreign nationals? A: No, although the University has a foreign office that ably assists foreign students under supervision of the PI with study permits for postgraduate degree purposes. Work permits for successful foreign field assistant applications are the candidate's own responsibility. 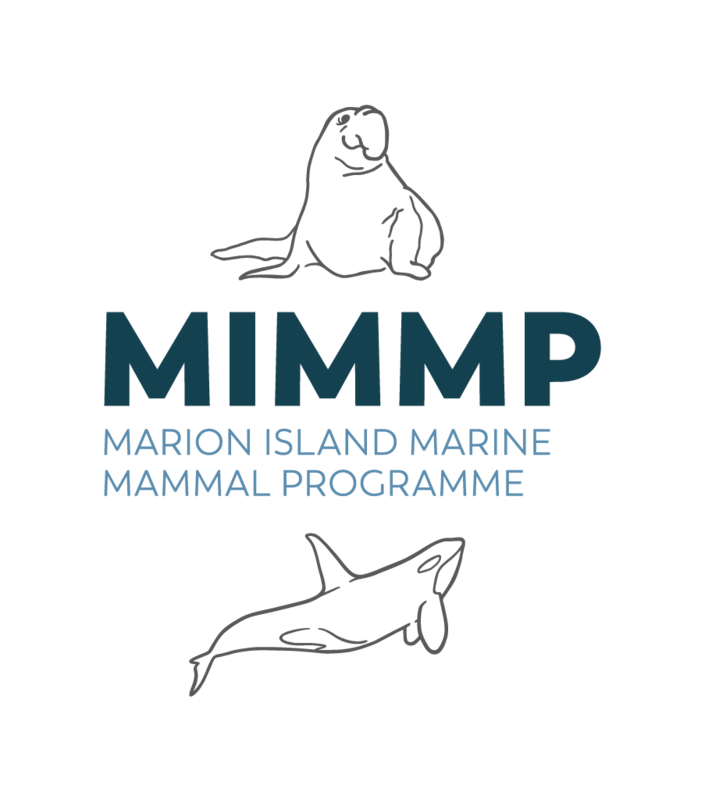 A: The only opportunities for visiting Marion Island are 1) as contracted field personnel for the full 13-month annual expedition, 2) as collaborators of the principal investigator during the annual 5-week relief (Takeover) period , or 3) during the annual relief by relevant postgraduate students working on MIMMP related research questions under the supervision of the principal investigators. A: Killer whale and seal positions will be advertised on this website, the Facebook page, our Twitter account (@marionseals or @marionkillers) and various e-mail lists (such as SANCOR). Q: Are killer whales a protected species at Marion Island? A: YES. The Prince Edward Islands (including Marion - and Prince Edward islands) are specially protected nature reserves - they highest protective status under South African legislation. A large marine reserve surrounds the islands and protects many inshore species. By South African law, all killer whales are protected from harvesting, whether they are in protected areas or not. Q: Is killer whale research at Marion Island ethically conducted? A: All research at the Prince Edward Islands is subject to ethical and permitting clearance. All MIMMP work, including that on killer whales adheres to the ethical standards of the host research institution, the University of Pretoria, and has been consistently provided with ethical clearance. The Prince Edward Islands Advisory Committee has consistently agreed to permit the research and strict controls are in place to reduce research associated disturbance. All work is 'hands-off'. Q: Is satellite tracking and biopsy work not harmful to the killer whales? A: We use remote techniques of satellite tag deployment and biopsy sampling - meaning that animals are never physically restrained. A great deal of research has focussed on this question in cetacean science internationally - and the general consensus is that the disturbance imposed on these animals is minor and short-term. However, to be sure that our activities are not unduly disturbing or harming the animals at Marion Island, we have conducted our own in-depth published research in this regard, showing that these activities have negligible short-term and no discernible long-term demographic effects. Keep in mind that the information we gain through these efforts have already contributed to establishment of marine protection areas and feeds into mitigation of fisheries interactions. Once we know where they go over time and what they are eating out there, our ability to conserve the species is amplified greatly. Please consider supporting out tracking efforts to realise the latter. Q: Is experience with fire-arm handling a prerequisite for employment as a 'killer whaler'? A: The use of a cross-bow (or similar) for remote deployment of satellite tags and biopsy sampling necessitates some confidence with firearms. Prior experience in this regard would be beneficial to any application, given our highest priority for the safety of field personnel and the study animals.